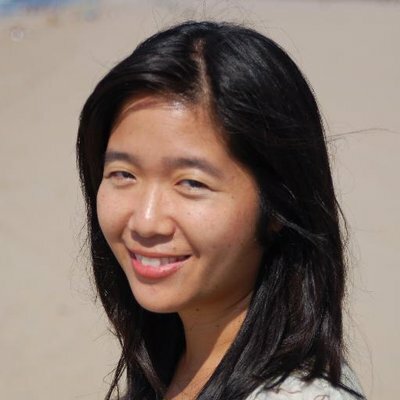 Vanessa Hua is the author of the new story collection Deceit and Other Possibilities. She is a columnist for the San Francisco Chronicle, and has worked for the Los Angeles Times and the Hartford Courant. Her work has appeared in a variety of other publications, including The Atlantic and Guernica. She is based in San Francisco. Q: Your website describes your characters as "immigrant families navigating a new America. Tied to their ancestral and adopted homelands...these memorable characters straddle both worlds but belong to none." Can you say more about this theme, and how it runs through your stories? A: As the American-born child of Chinese immigrants, raised in a predominantly white suburb east of San Francisco, I knew from early on that I was different, that my family was different from my neighbors. What my parents could not or would not explain about the world outside our home, I figured out through observation and through books. Later on, I became a journalist, seeking to shine a light onto untold stories about the immigrant experience and I carried that passion into my fiction. Q: You note that you wrote the stories over a period of more than a decade. Do you see changes in your writing over that time? A: There were flashes of quiet humor in my work, but in the stories I wrote more recently, I pushed myself to skate the line the between real and the over-the-top, in situations ever more desperate, ever more ridiculous yet tragic. Q: Do you usually know how a story will end before you start writing, or do you make many changes along the way? A: I usually don’t know the end when I start writing, but the more I enter the story, the more I understand the characters, the more the stakes are raised, the more the possibilities narrow until the ending feels – hopefully – inevitable to myself and to the reader. A: When I submitted the manuscript to the Willow Books contest, it was entitled “The Responsibility of Deceit” – which happens to be the first story I ever published. I thought the phrase reflected the concerns of the characters throughout the collection. As I proceeded through the publication process, I presented a few options to writer friends to make a final decision. Some thought “The Responsibility of Deceit” was clunky and might confuse potential readers. 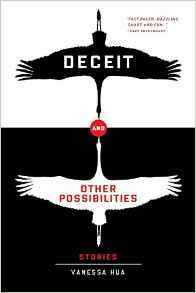 I considered “Deceit” or “Deceit and Other Stories” as alternatives. I asked my mother-in-law her opinion and she repeated it back incorrectly, saying “Deceit and Other Possibilities,” instead of “and Other Stories.” Perfect! The dissonance of the phrase reflected how the characters carry out their secrets and lies with the best of intentions. A: In the spring, I landed a two-book deal at Ballantine. At present, I’m revising my debut novel, A River of Stars, about a Chinese factory clerk who comes to America to give birth, bestowing her child with U.S. citizenship. When her married lover betrays her, she flees. A: Thank you for taking the time to read my book and to put together this interview series!